Dices games is popular all over the world. It's a fast game to lose or win. Usually everyone's chance to win is the same because every point has get the same chance to appear for normal dice. However, there are several kinds of devices for cheating and enjoying the games now. For those guys who don't like to take a special board for remote control dices, the cup with a mini camera to see the dices when rolling is a very good choice. 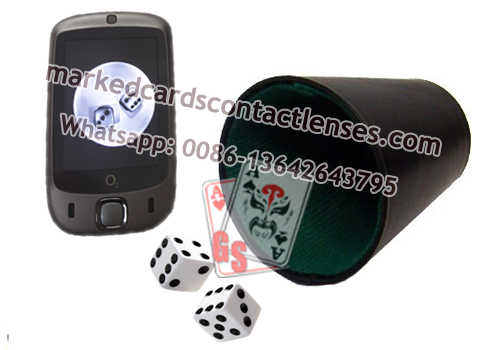 The cup with camera to see the dices is another product for dices but no need to process the dices. With this device, you can just use the daily dices. And the key is that our technicians do a mini camera in the cup. It's very secret so that others won't see any difference between this special cup and the normal cups. You can see the points of every dices clearly on the monitor such as a phone.